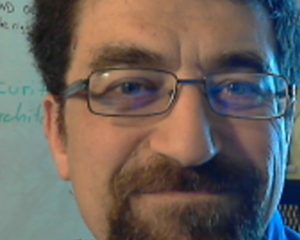 Tony Zafiropoulos has been self-employed (Fixvirus.com) since 1995, with hundreds of projects, systems configurations and more. In the late 90’s placed companies on the Internet for the first time (Huntleigh Financial Services). Moved a company (Smith Moore & Co) from 2 offices to one(Saint Louis Area), No errors 1 minor oversight which was corrected quickly, the end result no loss of business or functionality (project Management and business acumen) while moving 70 some computers and servers. Moved back office programs from Phase3 to Thomson Financial, we had to go from a real-time trade execution to batch file execution. Developed the confirm technology with a sharp Perl programmer. Led the effort in the shortest time ever says Thomson Financial (also for Smith, Moore & co - In Saint Louis, Jefferson City, and Columbia, MO) – More project management skills as well as leading an agile programming methodology. Had to help in the printing testing and other methods. I have many other examples from earlier in my career. But this company today is about security. In the last 4 years I have worked on contracts for large enterprise environments (Pfizer and Savvis) where I supported upgrading IPS (Intrusion Prevention Systems) from IBM (Proventia). I upgraded over 50 systems working with Network, onsite and firewall teams. The IPS systems create a network of protection against malware and other attacks on the Pfizer network. 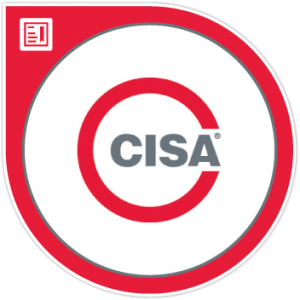 IBM Proventia IPS systems, Cisco network gear, Windows Servers, Linux systems, System administration with Security focus, all I have worked on. Starting 2013 computer network security is the focus. 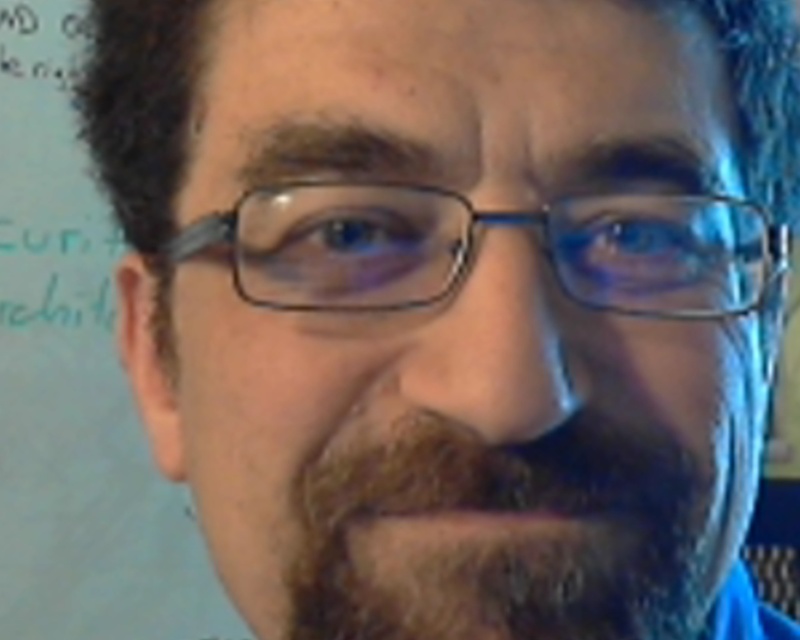 www.oversightsentry.com is the Fixvirus.com Security Blog where I write about technical details and more regarding a variety of cybersecurity issues. Located in Manchester, MO servicing the Greater Saint Louis Metro area. Taught SEC020 and SEC030 at http://tlcenter.wustl.edu/index.jsp Washington University changed the old CAIT name Center for Application of Information Technology to Professional Education Technology and Leadership Center. in 2017 will get other certifications to be shown here when completed. 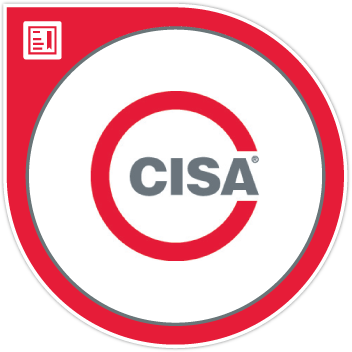 I did pass the CISA - (Certified Information Systems Auditor) test , now am waiting for the review of my experience by ISACA. The following service products would give you an understanding of what we do. Ψ(Psi) service is the wifi auditing service - where we can review your wifi setup. 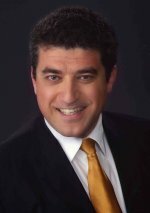 Whereas Tonis Zafiropoulos, E.I.T., dutifully and meritoriously performed in the position of Co-Chairman, MSPE Information Technology Task Force. Wheras: you have gone the EXTRA MILE for the Missouri Society of Professional Engineers in your endeavors, and its members are exceedingly grateful and wish to recognize the achievements you have made on their behalf. This award was given because we(other co-chair was Bob Becnel) talked the MSPE organization into grabbing the MSPE.org domain name back in the mid nineties (1996 or so). 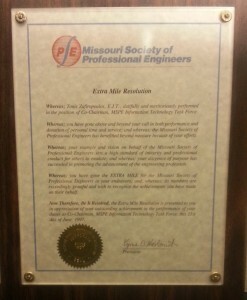 As you can see MSPE.org is Missouri not MN, or MD, or MS.